One world, one people. We all have our place. We are all in this together, as one. 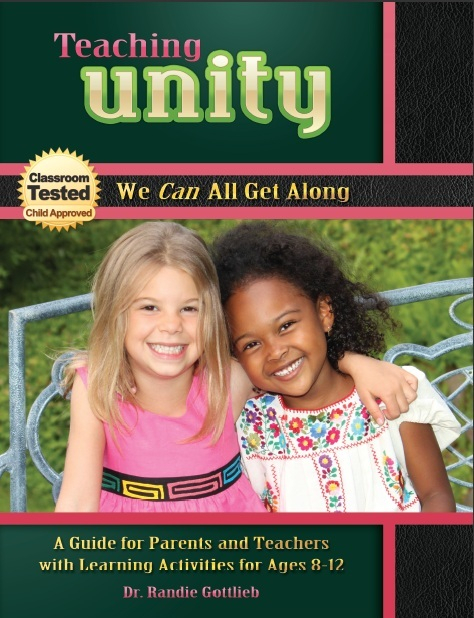 Guide children to this understanding, teaching tolerance, acceptance and ultimately, unity. These principles are just as important as the ABCs and the 123s. More than a principle, unity truly is a gift. Teaching Unity will give you the tools you need to present and reinforce this gift. A gift that will last a lifetime, a gift that will be passed down for generations to come. Not to be underestimated, unity is the basis of all interactions. If we cannot thrive with others, not just tolerate, but interact and engage with others, what good does skill and knowledge do for us? Appreciating others and recognizing their unique traits and talents, although different from ourselves, will lead to true success in life. Supporting one another and working together is what brings hope into today’s world, a hope that is globally vital. Today, more than ever, these global interactions are taking place. With instant communication, ease and speed of travel, the dynamics and growth of commerce and technology, we truly are one. Give your children and students the know-how as they prepare to participate in an immersion of cultures in their days to come.